How Lutheran is Bonhoeffer and in what ways is he useful for theology today? Regarding the first question, Pastor Eric Andrae has offered a fine beginning in a recent article entitled “Pro Deo et Patria.” His focus is on the many ways Bonhoeffer places the theology of the cross at the center of his approach to prayer, public action and discourse, and community. Particularly helpful is the way in which Andrae reins in a lot of later speculation about Bonhoeffer’s advocacy of “religionless Christianity” in a “world come of age.” Andrae draws on Bonhoeffer’s close friend and biographer Eberhard Bethge to show rightly that even this emphasis is ultimately an expression of a profound christology. This christology recognizes that reality impinges on us all prior to our conscious, systematic articulation of it and that God has definitively given shape to this reality in Christ. What I find less helpful in Andrae is his tendency to draw a line between the very early and the later Bonhoeffer. In his opening paragraph, in claiming that Bonhoeffer truly became a Christian only in 1932 after the publication of his early works, Andrae implies that his earlier theology is not exactly Christian (and therefore neither truly Lutheran nor useful). While I agree with Andrae that Bonhoeffer’s Christ as Center is not entirely helpful, I think some of Bonhoeffer’s other works have much more to offer. These works include his two dissertations, Sanctorum Communio and Act and Being, as well as the lectures given right on the breakpoint identified by Andrae, later published as Creation and Fall. While by the latter, Bonhoeffer clearly is moving into a more devoutly Christian phase, one can still see how the thinking of the first two works undergirds this movement and its fruition in the Ethics. 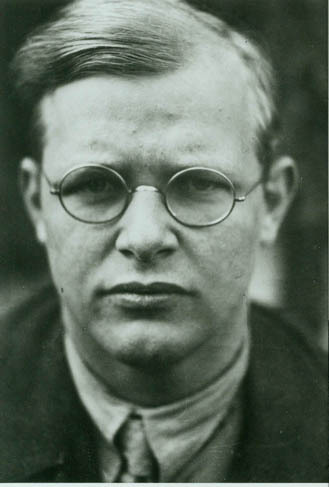 Moreover, I take it as a salutary sign that, as Wolf Krötke notes, Bonhoeffer’s training focused from the beginning on an intense study of Luther, so that by his lecture in 1931-32 on “The History of Systematic Theology,” Bonhoeffer turns its central question – Where do we stand? – into the question Who will show us Luther? Accordingly, the following sketches a few brief reflections on themes from these three works that I think offer constructive potential for systematic and especially moral theology. This volume offers Bonhoeffer’s intriguing ecclesiology of “Christ-existing-as-community.” Drawing on Leibniz’s Monadology, Bonhoeffer suggests that “the church is already completed in Christ” and exists principally as an unfolding of the new principle of personhood given in him. There is a completion to the ‘being’ of those in the Church; in a way, nothing new is needed from the individual-the internal principle of Christ’s own life is sufficient-establishing the primacy of grace. On the other hand, “[i]n order for the church, which already is completed in Christ, to build itself up in time, the will of God must be actualized ever anew.” The unfolding of the Christ-life occurs on the level of the unique vocational ‘becoming’ of each of the individuals in the Church. What Bonhoeffer thus provides is a telos for human existence based on simultaneous relationality with God and others. Anthropology for him is a matter of the “social ontic-ethical basic-relations of persons” that makes personhood a mediated “responsibility” before an Other. We are directed toward Others in a way that completes our being, the first and in a sense entire completion being rendered already in Christ. There are obvious connections here to thinkers of the intersubjective like Martin Buber (and later, Gerhard Forde, in the idea of “proclamation”) who emphasize the I-You relation. Particularly though, I think Bonhoeffer comes very close to the thought of Emmanuel Levinas, a Jewish Continental philosopher. Levinas emphasizes, much like Bonhoeffer here, the infinite height of the Other as constituting the fundamental plane of human existence, which thereby becomes a “response-ability.” The relation to the Other serves to call into question the status of all human institutions and all our claims to absolute epistemological certainty (a.k.a. pride). Levinas however writes philosophy “agnostically” and emphasizes that the Other with whom he is concerned is the other human person, a “horizontalized divinity.” Levinas’ paradigm is in fact quite powerful, and I think one thing Bonhoeffer offers is a way to access this paradigm while retaining and positioning it under God and especially grace (which Levinas of course loses, despite attempting to speak of the summons of the Other as the “infinite glory” of the I). Moreover, Levinas is the intellectual father of Jacques Derrida, whose “postmodern,” deconstructive methodology so often seems troubling for the Christian claim to mediate God’s activating truth through word and sacrament. The decisive difference between Levinas and Derrida, however, is the pole to which they tether their deconstruction. For Derrida, this pole becomes “Khora,” a non-place that serves as the unsecurable “origin” of language. This means that the knowledge on which we base our action and our lives is basically only a construction which can always be interrupted by something new that calls it into question. Levinas, while affirming something like this latter statement, shows clearly that the “pole” remains a person. That is, when our systems of knowledge, institutions, and ways of life are called into question, there remains (though Levinas would not put it quite this way) a person-al telos toward whom we may clarify our lives. In the Bonhoeffer-Levinas connection then, I think we find one opening for entrée into what is beneficial in postmodernism while retaining our theology in full force. 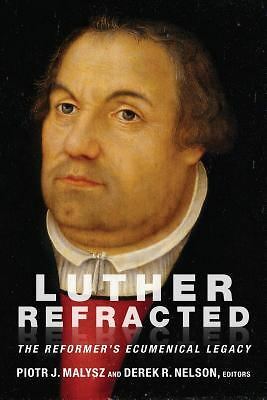 Especially for Lutherans, I think we find a way of speaking to the integral nature of ethics as a primary plane of human existence without abandoning an even more primordial plane of grace. For what else is the rupture emphasized by Levinas if not the power of God’s self-Revelation and indeed, a certain movement of Law-Gospel? See Concordia Theological Quarterly 72.1 (2008): 71-95. You may access the article here. By the way, I also agree very much with comments posted by Piotr Malysz elsewhere on this blog. Bonhoeffer seeks to stand fully within his tradition yet in a critical way, a way open particularly to Barth and yet also to some limited Roman Catholic influences. Sanctorum Communio [1927, pub. 1930], Act and Being [1930, pub. 1931], and Creation and Fall [Winter 1932-33, pub. 1933]. Hereafter, references will be to SC, AB, or CF in the DBWE editions. These respectively apply sociological, philosophical, and biblical insights to a similar set of issues. “Dietrich Bonhoeffer and Martin Luther” in Bonhoeffer’s Intellectual Formation: Theology and Philosophy in His Thought, ed. Peter Frick, 53-82 (Tübingen: Mohr Siebeck, 2008), 53. Levinas was born in the same year as Bonhoeffer (1906), lost most of his family in the Shoah, but survived as Bonhoeffer did not, through his protected status as a “French” P.O.W. He wrote several influential works, the most important being Totality and Infinity and Otherwise than Being. Bonhoeffer and Levinas apparently had no knowledge of each other, or at least neither engaged the other’s work. See Derrida, On the Name and The Gift of Death. I am vastly oversimplifying here for the sake of bringing the main point to the fore. I also think that while Derrida is problematic, in some ways he is less so than many think and indeed quite helpful at times. I appreciate very much Adam Clark’s engagement with Bonhoeffer’s early work, as well as Clark’s opening and positive words regarding my article in CTQ. One point of clarification: I did not claim “that Bonhoeffer truly became a Christian only in 1932,” nor did I have any intention of *implying* anything. As a matter of fact, I pointed out that Bonhoeffer clearly indicated a change to a much more devout Christianity circa 1932; the reason for mentioning this was in order to posit *explicitly* that this is one explanation for much of the *misunderstanding and controversy* that has arisen regarding Bonhoeffer and his appropriation.